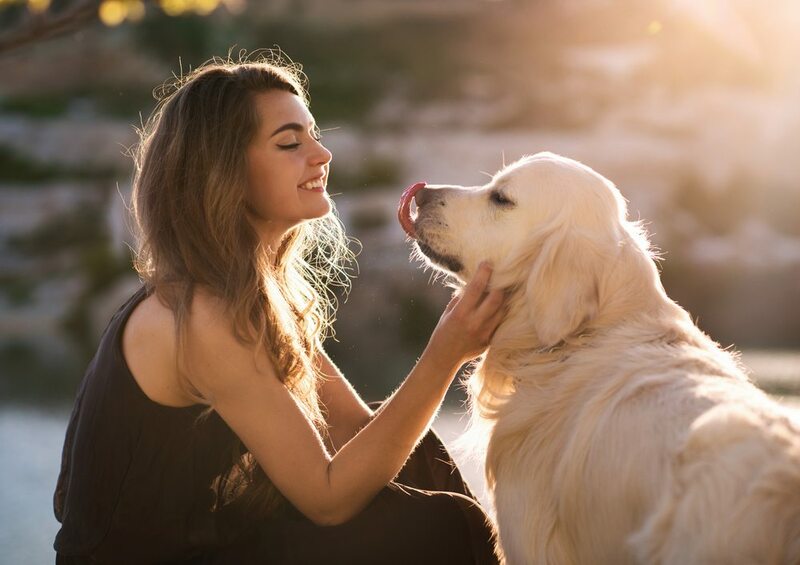 If you’re a pet owner, you will no doubt spend a large portion of your time trying to figure out what your pooch or moggy is thinking and feeling. It would be so much easier if they understood human language. How many times have you wished you could better communicate with your pet? Well, a pet psychic can help you do just that. What can a pet psychic help with? If you’ve noticed a change in your pets behaviour that you can’t attribute to anything in particular, and you’ve been to the vets to rule out any medical problems, a pet psychic can communicate with your pet to get to the root of the problem. Are they suddenly off a particular brand of food? Do they avoid a certain part of the house? Have they become less cuddly or vocal? Because we have that barrier of communication with our pets, it can become quite distressing for us to not know what’s causing the change in behaviour. But a pet psychic can bridge that barrier for us. How does a pet psychic work? There are a few different stages that are involved with communicating to your pet. And whilst every pet psychic works slightly differently, they’ll all follow the same basic steps. The first thing any pet psychic will do is form a bond with your pet. Most psychics prefer to meet your pet first and spend some time alone with them in order to build trust. Following your pet’s lead, they’ll either stroke, pet or cuddle with your animal or simply sit close by and telepathically inform them that they are not a threat and that your pet is not in any danger. The amount of time this process takes depends entirely on your pet. Dogs may take only a couple of minutes, whilst a cat may take up to an hour. Different species have different temperaments and then each different animal within each species has their own personality. So it’s a completely bespoke process. Like humans, pets have auras. Pet psychics use your animal’s aura to get a sense of their overall mood, health and wellbeing. Just like with humans, you can tell a lot about an animal from their aura and this is a great starting point for a pet psychic. It’s good to get a good baseline for your pet’s reading before they move on to more specifics. Once the pet psychic has read your pet’s aura, they will move on to the detailed reading. They do this by connecting telepathically with your pet, asking them questions. This works a lot like a medium connecting with the spirit world. Your pet psychic will ask your pet questions and your pet will respond telepathically. Usually the answers come in the shape of feelings or images rather than words because animals don’t have the same language skills we do. Although some times, your pet’s response gets translated into a voice or a few words as it is interpreted by the psychic. After the pet psychic is finished communicating with your pet, they may offer to perform some reiki as a way of healing your pet. Not all pet psychics do this so you may have to enquire about the services of another once they have left. Usually during a reading, your pet will not only communicate the problems or emotions they are experiencing, but they’ll offer up ways to solve this. Pet owners can often feel guilty for not being more aware of their pet’s needs but please don’t be too hard on yourself. Pets don’t hold grudges and they’re incredibly forgiving. Plus, you may not have even done anything wrong. Using a pet psychic can be incredibly enlightening for both you and your pet and can really strengthen the bond between you. Please let us know how you get on! We love to extend our psychic guides into the animal kingdom! What is automatic writing and how can I do it?